How to make the most of my trip to Machu Picchu? These are some of the things you can not miss on your trip to Machu Picchu; The city in the clouds is one of the most stimulating experiences in life; However, during your trip to Machu Picchu you can enjoy many more things than just the Inca City, as there is much more to explore on your trip to Machu Picchu. Just look at one of the Inca cities, to note that the Incas are among the best engineers and architects in the world. If you are already on your way to Machu Picchu, these are some of the places you can not forget to visit, and you can enjoy without spending a lot of money. Your visit to Machu Picchu in most cases begin in the city of Cusco, former capital of the Inca empire, is now full of hotels, restaurants, shops and historical sites, the Coricancha among them. Coricancha means “golden enclosure” and was one of the most important places for the Incas, it contained the temple of the Sun one of the most important, along with the shrines dedicated to the Moon, Venus and Pleiades, thunder, And the rainbow according to art history expert Jack Daulton. Although the Spaniards destroyed much of the original Inca complex, the remains still remain, testify to the ingenuity of the Incas; Like rectangular blocks of stone, screwed together with molten metal and trapezoidal, To withstand the frequent earthquakes in the region. The sophistication with which these walls were built would make even contemporary engineers feel proud. 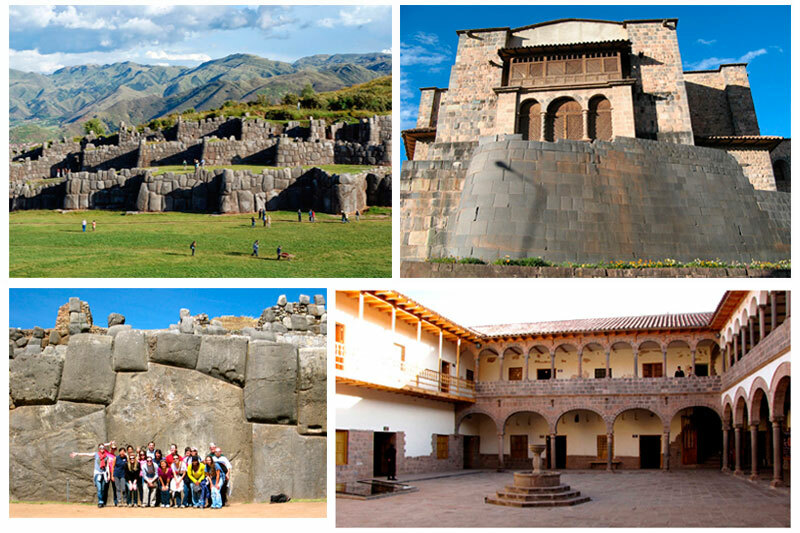 In fact, the entire monumental hull of the Imperial City of Cusco is filled with colonial buildings built on the imposing bases of destroyed Inca temples and palaces. Walking its streets will give you the impression of touring a huge museum. Trust us, it will be worth the time that you dedicate to the ancient capital of the empire of the Incas. The size of the Sacsayhuaman stones, makes all people seem small, these old walls before the XV century are built with giant stone blocks; Larger than any that can be seen in the pyramids of Egypt, joined together in such a way that it can not enter the blade of a razor between them, but without any mortar. It is one of the best experiences prior to the Inca City of Machu Picchu; This small museum houses many of the pieces extracted by Hiram Bingham during the excavations after his “rediscovery” brought from Yale University in the USA. This impressive Inca town was built on a bend in the Urubamba River; According to Nat Geo this center of Inca control, played a very important role so that the Spaniards could not find the Inca city of Machu Picchu. Ollantaytambo will reward you with impressive Inca buildings, atop a cliff above the Urubamba River, and it is the last station from where you can take the train to enter Machu Picchu, otherwise you will have to cross the Inca Trail for 4 days. 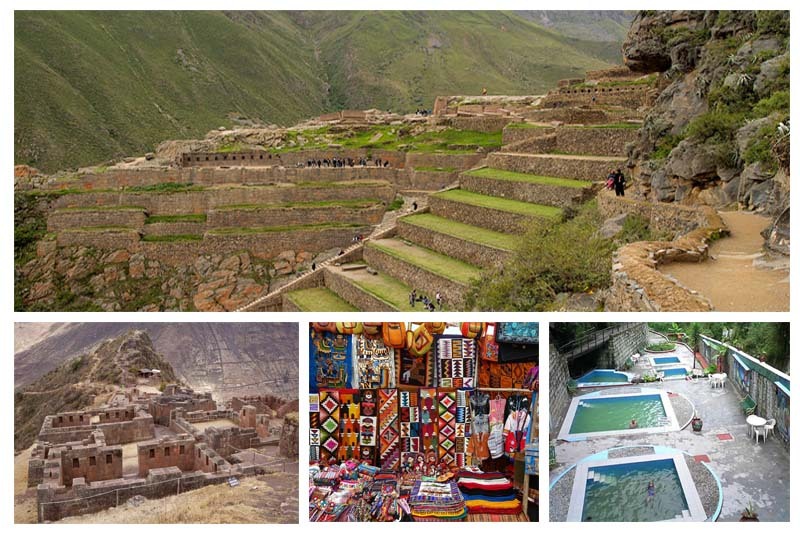 If you still have time before your visit to Machu Picchu, we recommend visiting the beautiful colonial town of Pisac, in the Sacred Valley of the Incas, not only the impressive ruins above the city, but also the unforgettable artisan market. The town of Aguas Calientes is home to thermo-medicinal baths, although they are not the most beautiful in the world, its waters are recommended in the treatment of diseases such as arthritis and other diseases related to bones and joints, do not miss the opportunity To receive treatment and enjoy the thermal baths of Aguas Calientes.